Morecambe Station, 23 March 2008 2 Looking east. There are two parallel single tracks from Bare lane to Morecambe. The one on which 158787 is standing terminates at Morecambe. 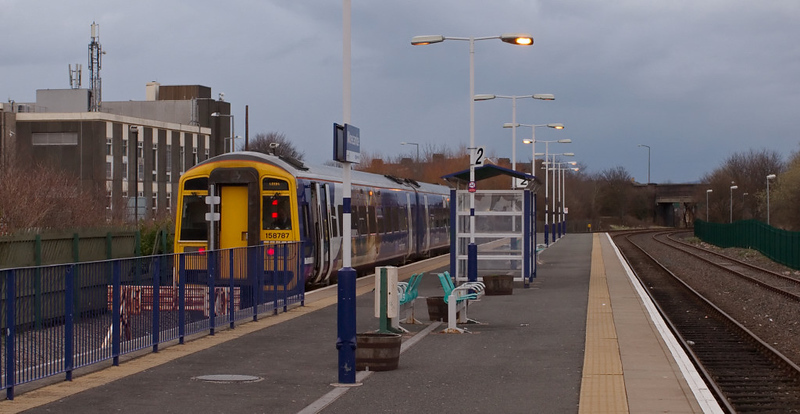 At right is the track for Heysham trains, and its reversing loop.